Termites are serious household pests and their control can best be left to experienced experts in this field. Their treatment and control can be sometimes confusing; however, the options available are more today than before. Control and treatment of termites is significant in that it will reduce the loss in damage the termites bring each year. They infest wood materials mostly and considering the wooden equipment a home has, you can see the damage. The loss is in millions of dollars. Getting rid of termites in your home requires special knowledge and skills. For example, to identify critical areas whereby there is likeliness of termites to enter, knowledge in building construction is needed. This is because many of the potential points termites enter through are hidden. To access the areas is also a difficult task. But thankfully for you Sunstate Pest Reports had the knowledge, equipment and skills to stop and prevent termites in their tracks. Pumps, masonry drills, rods for soil treatment and large-capacity tanks are just, but a few special equipment that can be utilised in termite control. Thermal imaging cameras combined with techniques and other tools used for inspection provides a more efficient and thorough assessment. These cameras are helpful for aiding to find termite nests between floors, in walls and any other areas without necessarily removing or drilling wall linings. This is our favourite tool and one of the most effective and it’s 100times more effective than thermal imaging cameras. Termatrac is a tool for termite detection it was invented in Australia (which means it’s good) and developed using technology that is similar to radar. This termatrac is responsible for emitting signals. The signals will penetrate the being searched material for example plasterboard, masonry, brick or timber.The termatrac will relay information to this operator if termite activities interrupt these signals. The operator pinpoints the termites instantly and then tracks the termites’ whereabouts and then back to the termite’s point of entry without disturbances. This is a broad category in termite treatment. Termite baits are made up of cardboard, paper (can be substituted for any palatable food), that are combined with slow-acting substance that is lethal to the termites. A bait is installed below the ground, in a cylindrical plastic station, in a yard. Or it can sometimes be placed indoors usually over an action mud tube. Foraging termite will consume and share the bait with their mates and these results to a gradual decrease in termite population. Baits can be combined with the liquid applications if the termites can be observed or this method may constitute as the only way of treatment. Liquid pesticide called termiticide is injected, alongside a foundation, into the infected ground, within the foundation walls, and beneath the concrete slabs. Gallons of the liquid pesticide are required in in hundreds for this exercise.Liquid termiticide (soil-applied) have been used for decades due to their providence of chemical barrier responsible for excluding termites found in the ground from entering into buildings. The chemical barrier is long lasting. 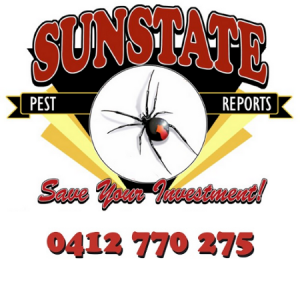 This brings an assurance that termites infecting a building or structure will die of, since return to the treated soil will terminate their life. In sort, treatment is job best suited to professionals. Non-repellent materials such as termidor (fipronil), premise 9imidacloprid) and chlorfenapher (phantom) if applied will make sure that any termite tunnelling the treatment zone is killed. 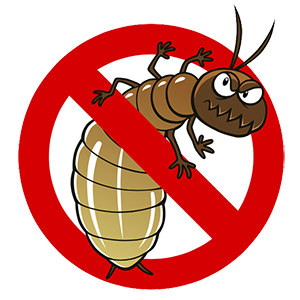 Non-repellent products nowadays are proving to have a more reliable ability in resolving termite problems as effective as in the 1st attempt. However, this does not make repellent registered termicidesnon-effective. They are effective too.